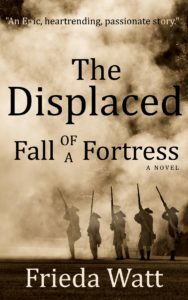 On Sept. 19, 2018 my book, The Displaced: Fall of a Fortress will be featured in the historical fiction category of their email campaign and be sent to 2.7 million subscribers. It is offered for FREE on Sept. 19, so make sure to subscribe to Bookbub so you get the email! 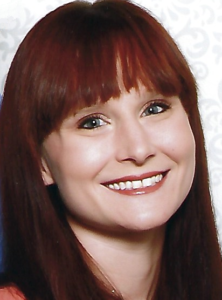 When is the second part of The Displaced: Fall of a Fortress by Frieda Watt is expected to come out. I read the first part and love it. Trying to find Vol. 2 but it might not be out yet. I’m still working on the second book. I will let you know when it’s released. I’m glad you enjoyed it. Can’t wait to get my hands on the 2nd book! I love the storyline, the characters, the turn of events. Thanks for your review. I will notify you when the next book is released. I am a long time colonial North America history buff. I am 76 and just finished reading The a Displaced vol. 1. My wife and I visited a number of years ago Nova Scotia and the fortress of Louisbourg was a highlight on our trip. Your novel intrigued me and is so well written that I cannot wait for vol 2. Congratulations on this winner. With your interest in colonial history you may find a novel Wetzel by Richard Flemming a good read. Prof. Flemming is a retired professor from Central Michigan University. Will be waiting to read the second book, The Displaced, hopefully in the near future. The Fall of a Fortress was an excellent book. Beautiful story ,so well written. I could hardley stand to put it down, had to find out what happened next . Wonderful ending, waiting for book 2 . Thank you, Margaret. I’m glad you enjoyed.